I have not reached 1250 followers (yet) but I am actively on my way through producing high-quality content. Finally, getting 1100 Pinterest followers reinforces my stature as a social media influencer. 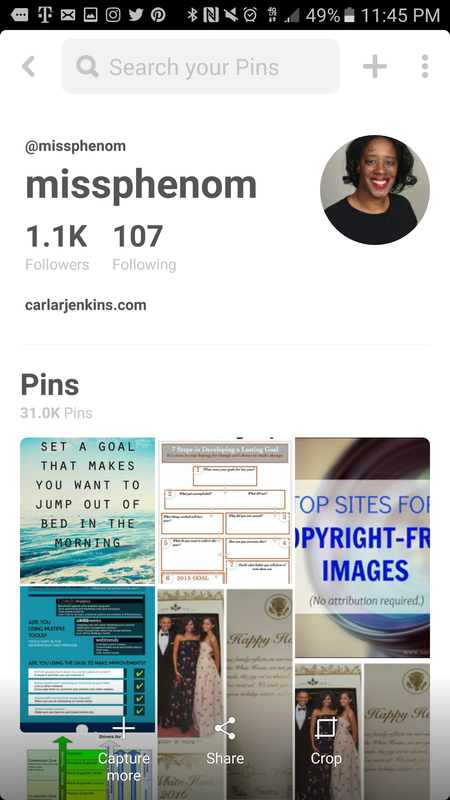 Sn.ips Social Media Network has accepted me as a social media influencer (You can read here: https://www.carlarjenkins.com/carla-r-jenkins-recognized-snips-social-media-influencer/ ). I highly value this distinction because I am all about great content that educates and improves people.